Today I went to the other place to paint our new room while Jeremy went around to his friends houses to put invites for Jaiden's party in their mailboxes. 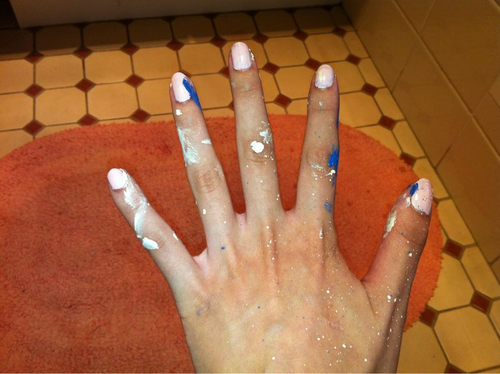 I started the day on an empty stomach so I was pretty much slow on painting the walls and I did it all by myself, with no help but I guess that was okay. I reckon I could've done it that little bit faster if Jeremy had only agreed to get me some Starbucks before starting but instead came back 3 hours later when I had to finish up with food.